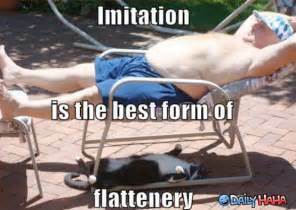 Imitation is a flattering and natural social concept. In an experiment, a researcher mimicked and imitated the subject. The researcher acted as a phony subject in this study. The imitation was subtle and carefully conducted. After a fewer minutes of adopting the subject’s postures and mannerisms, the subjects found the phony subject more likeable than others. Follow-up studies were also conducted based on this idea. Our book explained, some research concluded subjects who were imitated in studies were 80% likely to donate their research participation money to charity. Research also suggests individuals do more inadvert imitating with people in the same sociocultural category. I found this to be so interesting. 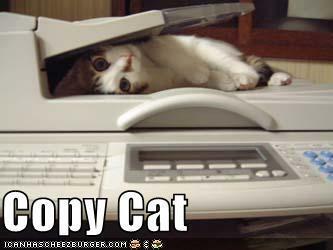 I feel normally we never consider the positive effects of imitation. There’s always this connotation of copying to be bad or negative. Additionally, this reminds me of another positive of imitation which is often spoken of by motivational speakers or teachers. Often, they suggest the best way to be successful is to copy the habits or characteristics of those that are successful. And that embodying those habits or imitating them will lead to success.